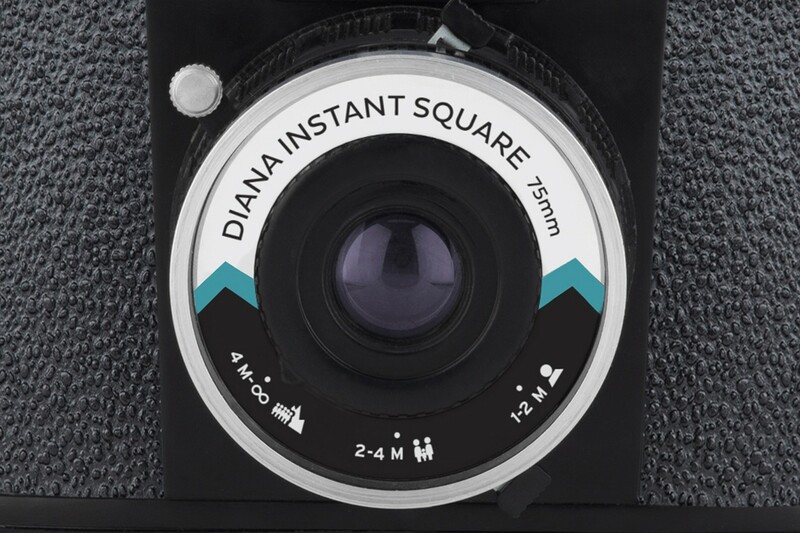 The most obvious competitor to the Diana Instant Square is the Fujifilm SQ6 - it also uses Instax Square format at a similar price tag. But unlike the Diana - which is manual focus with manual aperture control - the Fujifilm is more automatic in its operation. The camera operates on four AAA batteries that you load into the bottom, and a pack of Instax Square film pops into the rear of the camera. The camera has three settings: Off, On and MX (multiple exposure). When you turn it on the film counter on the back glows green to show you how many shots you have left. It ships with an optional viewfinder that slides onto the top. Shooting with the camera is very straightforward. The lever to select your aperture is found on the bottom of the lens. Aperture settings are cloudy (F11), partly sunny (F19), sunny (F32) and pinhole (F150). Left of the lens is the shutter release, on top is a shutter speed toggle (1/100 sec or bulb) and below the lens is a lever to adjust the aperture setting. Focus is set on the front of the lens. Focus settings are found on the front of the lens and can be set to one person (1-2m), a small group of people (2-4m) or many people with mountains (4m - infinity). On the top of the lens you will find a lever to switch shutter speeds - there are two options: N (1/100 sec) and B (Bulb Mode, Unlimited). The camera’s shutter release is found on the right side of the lens. Before you shoot you will probably want to triple check that you aren’t in pinhole mode, which my camera kept seeming to click into. The body is large and chunky. The Diana Instant Square is more of a toy than an actual photographic tool, and although operating it is quite simple, getting it to produce images that you actually want to share with the world takes some finesse. The results were certainly unpredictable. The Diana Instant Square seemed to work best when shooting outdoors, without a flash on very bright days. 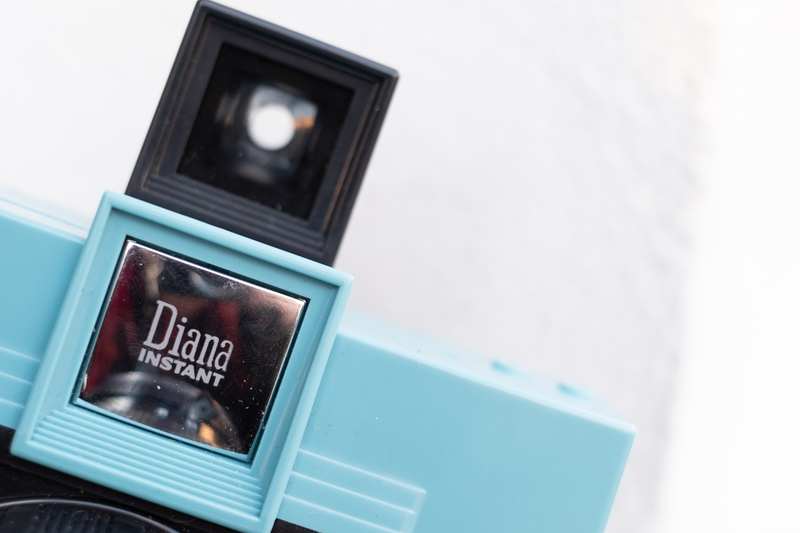 Although you have the option to attach any type of flash, the dedicated Diana F+ flash made the camera feel the most balanced. The results when shooting with the flash were also unpredictable. Sometimes photos turned out totally overblown, and other times they shot out totally black even when the settings on the camera were altered slightly. The Diana Instant Square essentially seems to do what it wants. A few times the back door that keeps the film in place popped open on me, so I decided to secure it with a large piece of gaff tape. Unfortunately, when this happened I ended up losing a few of the Instax sheets inside and it reset my film counter. The metal levers that control shutter speed and aperture are covered with a small piece of plastic; the one on the aperture lever fell off almost immediately, exposing the metal edge. It isn’t particularly sharp, but over time I did notice that the lever began to bend. 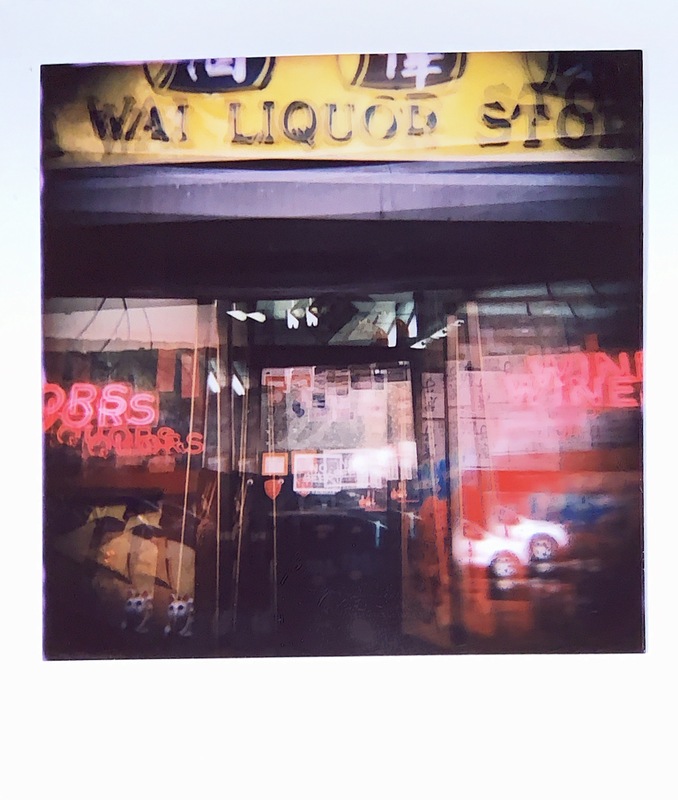 A multi-exposure example from the Diana Instant Square. The image quality of the Diana Instant Square was expectedly unpredictable. Sometimes I ended up with a double exposure that I didn’t expect, some images had major vignetting, and others had interesting focal fall off that gave them a dreamy quality. Sometimes frames that appeared totally black could be rescued once they were scanned and photoshopped. Other frames came back totally overblown or completely dark. When it worked, it worked well, but getting it to work was a bit of a guessing game. If you're a perfectionist or a control freak, you are better off shooting with a different instant camera. Similarly, for the money, there are far better-built options. But if you can lean into the camera's unpredictability, appreciate its history or like the aesthetics of Diana’s plastic lenses, this kitschy camera might be for you. Ultimately we had a lot of fun with the Diana Instant Square when the shots came out, but it hurt a bit every time one didn’t. My cousin had the original Diana camera in the sixties. My father hated it, especially the fact that he had not been consulted in the matter at all. He was somewhat versed in the subject. Those taken on a sunny day, you could tell who was who by the clothes they were wearing, but only just. I think it is immoral to use natural resources to produce junk like this. The only thing that would put me off trying something like this out for the fun would be the absolutely exorbitant price of the film and the photos produced from it. 20 shots costing £16.99 that provide 8x7 centimeter photos. I just can't fathom how it's sustainable. The thing is that if it wasn't so off putting from a cost point of view, i'd happily be doing this round town. I'd have one for me and one for the 4 year old. But how can someone even start to justify that? Isn't the unpredictability of the Diana the whole point? I have seen great photographers like Klea McKenna who use homemade cameras. Gearheads here get so derisive about cheap cameras and make jokes but it's their photography that is the real joke. I used to have a squirtgun that looked similar. I can't decide whether this is better or worse than the Yashica Y35. The printer that prints to this film/paper is the same cost, has much better output, and can be fed from a smartphone which also gives you a digital capture. Is printing from a phone to the fuji portable printer so hard for hipsters? EDIT: I lied. The fuji printer that costs $100 comes with 20 prints so it's not even the same price. If that’s the look you want you can just use any camera and get the same look in post processing. No, just in China . "If you're a perfectionist or a control freak, you are better off" NOT USING A TOY CAMERA. Lets complain everyone. It only has one film slot. Its not sharp. why would you buy this. film is dead. i take 30 megapixel images of brickwalls and then complain about lack of sharpness. etc. etc. etc. That's the thing. Film isn't dead but at that price point for the film....I want to try and let my daughter enjoy photography and she's expressing an interest, 4 year olds are very instant gratification orientated but at £16.99 for 20 photos.....it's crazy. I think later this year I'm going to plump for a HP printer on the instant ink system that's a dedicated photo printer and a wee compact point and shoot third or fourth hand. I never thought I would see the day someone says manual focus is something they didn’t like ..In Fact what’s interesting is when I taught advanced college photo classes, I would require students to buy a camera like this .. Because a photograph is more then “ proper use of “ in fact you could teach a monkey to make a picture, many that claim to be “ photographers are no better then chimps just mimicking how take a picture, but they aren’t making a photograph .. just because an image is sharp and crisp doesn’t make it a good photograph at all ..However I know on this thread I am in the minority of what a real photograph is ..
Why would somebody want to intentionally take crappy pictures? When I taught advanced college photo class I would require students to buy a camera like this .. Because a photograph is more then “ proper use of “ in fact you could teach a monkey to make a picture, many that claim to be “ photographers are no better then chimps just mimicking how take a picture, but they aren’t making a photograph .. just because an image is sharp and crisp doesn’t make it a good photograph at all ..
A sharp photograph isn't necessarily good. An unintentionally blurry and overexposed photograph most often is bad. Mrrowe8 I agree, just because a photo is sharp and crisp doesn't make it a good photo. But it stands a better chance than one that is out of focus, grainy, incorrectly exposed, heavily vignetted and plagued with crooked horizons. why would someone bother to complain about it? It's the vibe, man. The hip. It's the equipment review version of saying "She has a nice personality"
A toy for bored hipsters. That'll save time. Just chuck it in the bin. In its recyclable packaging. He'll say "you can just pay for the film, OK"? Upredictable - just what I need! Double exposure, great, remember from my old Kodak. 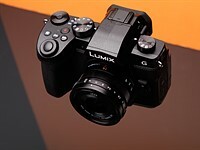 - Too many "good" and boring cameras. Another plastic product that will end up in the ocean. Framer - I'd suggest not buying a cheap plastic camera that will quickly lose its novelty value and end up being discarded. And ultimately find its way into a whale and kill it. Even in the unlikely event that it gets recycled, the process of recycling produces toxins that find their way into the sea, the air, the soil and what you eat, drink and breathe. Ban plastic - there are better biodegradable alternatives. Did you know that totally biodegradable alternatives to plastic can now be made from potatoes? "If you're a perfectionist or a control freak, you are better off shooting with a different instant camera." This is kind of like a party favor. You get one, a few packs of film, add alcohol, and your guests have a riot shooing each other. Then you're done with it. Diana's were originally carnival prizes. Their intense lack of "quality" was their selling point. After the LOMO purchase, lens quality went up and the soul of Diana was killed. To counter this, heating the lens to distort it back to true crapdom became the sop. Still - fun to be had, and unpredictability in the digital age is somrthing to be valued. Get out the heat gun!! Why not buy a Fuji that actually works? One person's junk is another's treasure. At F150 would diffraction not deteriorate the image quality? Take care and have a good weekend! Nice name by the way! There is an appeal to those of us who actually used these things in our childhood. I played with the Diana, but my first successful (as in every shot on the roll of film actually came out) was the Imperial Satellite 127. Recently I acauired a pretty fresh one in an antique store. Beyond the totally crumminess of the build quality of the thing, I get the appeal of something like this. The old colors and "low fi" look can be kind of cool, I think. Still, the images even for low fi looked pretty rough. I'm assuming that this thing is like the old Polaroid and not anything like a digital camera, but yet the images had a very artifact ridden, digtital-camera-from-the-last-century look to them. I can't help thinking that the photos this camera turns out don't really look that bad and maybe the settings used to scan them were a bit off...? If I were venturing a guess, it looks like these were "scanned" with a smartphone. Though to be fair, I can't think of any flatbed scanners that have facilities for instant film, and most of the quality instant film scans I've seen were from meticulous setups involving a digital camera mounted on a tripod and a masked surface. I own a digital camera from the last century, it's an Argus with a whopping 1.3 megapixels. It takes pictures something like this, but doesn't cost a dollar a pop to do it. 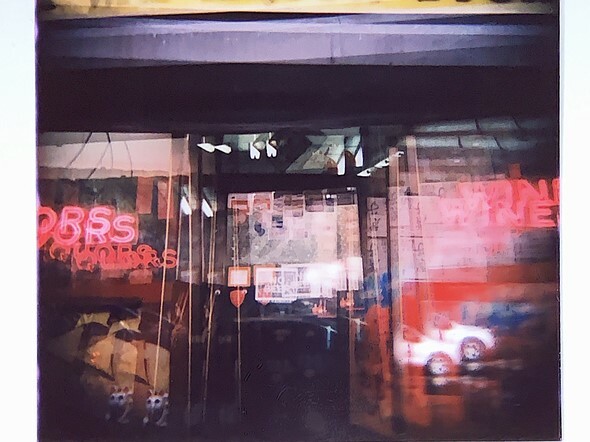 What really hurts though, is my '80s Polaroid.. the camera is fine, but the $3 a pop impossible prints are always a huge, washed out let down that take 40 minutes to come to fruition. I wish Fuji made film for the One-Step 600. "optional viewfinder"? How do they expect one to use it, selfie mode only? Spot sight from the top of the camera. If you're okay with imperfect framing, and your subject is far enough away that parallax compensation isn't a concern, the viewfinder is superfluous. It's not much different than using a sports finder on a twin-lens reflex, and adds to the spontaneous nature of the camera. It's also worth mentioning there are numerous vintage and modern-ish film cameras that do not have a built-in rangefinder. The Voigtländer Bessa-L comes to mind -- a Leica screwmount lens camera that relies on loose framing or external finders. @whyamihere Yeah, I get all that. My point is since it is included in the box and the photos are at least $1 a pop, I don't think it will be "optional" for most people. Is 2 1/2 stars the lowest score a bad product can get? Hmmmm ... strange. I know that Lom-things not in particular are high quality stuff. But this one actually seem to be multiple broken. So - even if you want that lowfi Instagram look, I am not sure you want a camera that might not take an image. A camera that needs gaffa and still does not work is actually no fun - for anyone, I assume. Maybe she just wanted to? 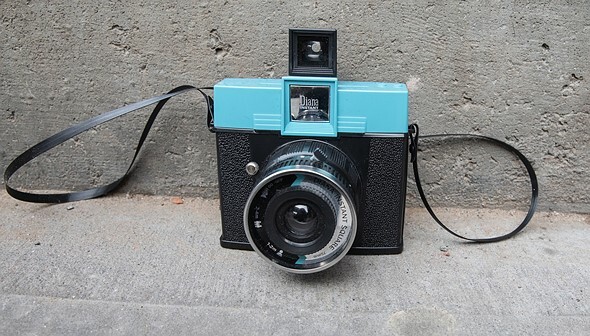 I love the name <Lomography>. The first syllable <lom> (Cyrillic spelling <лом>) means <scrap> in Russian. What a perfect name for this Putinstan's products distributors pseudo-camera. Would have been better if it had a Kam-Lan lens. Well, Leshkin, the Lomographic Society was started in 1992 by a group of Viennese students after they discovered the LCA, a camera created by LOMO PLC of Saint Petersburg, Russia. 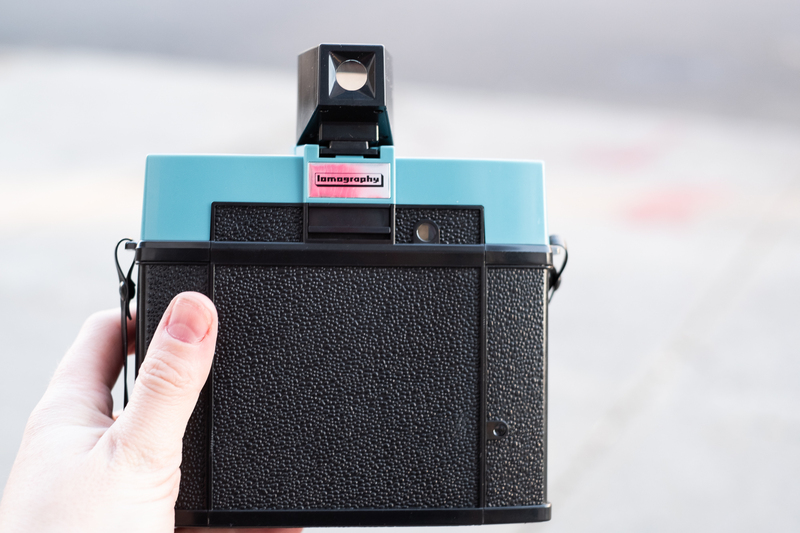 Since 1995, Lomography has been the sole distributor of the LC-A camera outside the former Soviet Union, and has moved into producing their own range of junk cameras and accessories. Btw, long time ago LOMO was a top Soviet optical research and design center. Among other things, they made optics for the space spy satellites. Learn, Parteigenosse Leshkin. "producing their own...". Thas is exactly that I wrote. So basically this is a piece of junk that no one in their right mind would actually try to use. Thanks for taking one for the team, you guys. I’m impressed that you stayed with the camera long enough to give it a detailed review. Based on what you have to say, I would have given up after a few minutes.